What has Coaching Done For You? Coaching has Skyrocketed My Confidence! "Becoming a coaching student has literally transformed my life. I was doing everything I knew how to do, working hard, staying focused, and I just couldn't figure it out. Within weeks of becoming a coaching student of John Di Lemme, I was able to see a future begin to form. My self-confidence grew. My family relationships began to grow and heal. Prior to becoming a coaching student, I had only 3 sales in 17 months. Since I've began strategically implementing proven systems, my sales have grown to 106 in 24 months. My life has been transformed, and my confidence has skyrocketed. I am truly blessed to find my coach. I am home!" "What coaching means to me is a question that cannot adequately be answered on a small piece of paper. Coaching has changed my life, pushed me to achieve things personally and professionally that I never thought were possible for me. Most importantly, coaching offers the guidance and the example to lead me step by step. That guidance and support is never affected by my frustration, adversities, or times when I don't have self-belief. 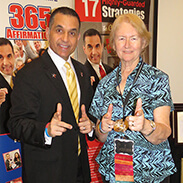 My life-changing achievements and future goals are only possible through coaching. Thank you John & Christie for everything that you’ve done for me, my family, and my patients!" Coaching Really Changed My Life Forever! "Before coaching with John Di Lemme, I was full of fear, stress and anxiety. My life emotionally, physically, and financially was out of control. I had no focus or direction on what to do in business. In fact, I got involved with networking company, because I was so lost and did not see any value in myself as an attorney. Now, I am more confident than ever in myself and my business. I understand that my WHY is to change lives through law. My revenue in business is the greatest ever! Every year my business is growing, and my clients are satisfied because of the extreme customer service they receive. Coaching really changed my life forever! Thank you so much John!" "Coaching gives me the confidence to think and act more boldly every day. I am now proactive in taking control of my future and raising my expectations higher to achieve my goals and dreams. 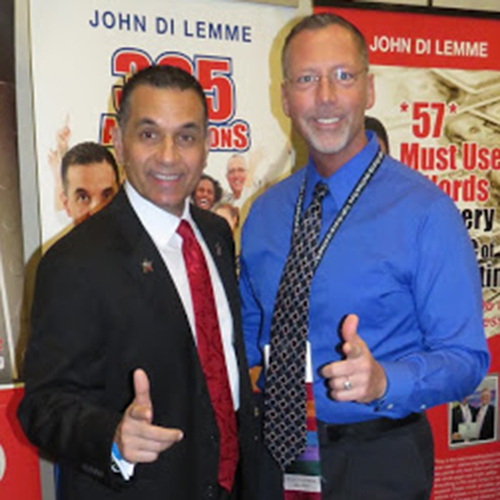 John Di Lemme has taught me how to focus on my customers and provide nothing less than excellent customer service. Thank you John for changing my life forever!" Coaching has Exploded My Business! "John Di Lemme's coaching has exploded my business! 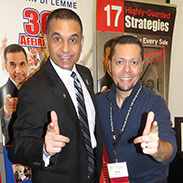 John has an awesome and amazing gift of helping you grow personally and professionally. The growth that I have experienced for over two years of being under his mentorship has provided me confidence and leadership that will take my business and personal life to the next level. Thank you for all the things you have done for me and my family!" "Coaching has exploded our business and income, but that’s not the addiction that makes me continue. Coaching has made me realize that there is a much better version of me than I've been giving. It gives me the continual motivation needed to rise to that challenge and has made me understand that I will not be successful if my mind does not grow! I love coaching and this community, because it causes me to poke around in all of the neglected areas of myself and life and stop the excuses holding me back." Coaching Pushes You to Break Through Adversity! "The consistent voice of a coach is there to press you through those uncomfortable times when you want to give up, quit, and just throw in the towel. 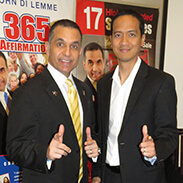 The challenging voice of Coach John Di Lemme pushes you to invest in yourself and break through adversity. On the other side of each uncomfortable action that coaching pushes me to take is a new level in my life and business." 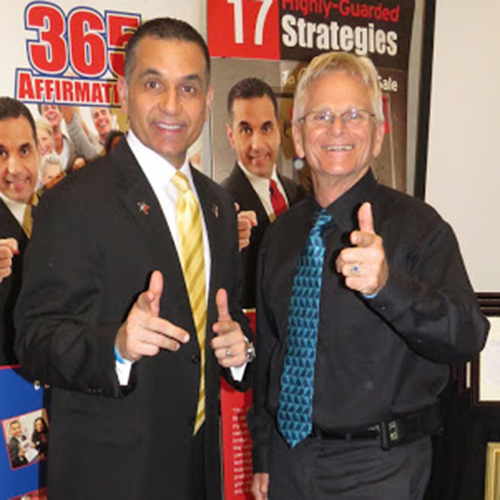 "Coaching with John Di Lemme has changed my life in immeasurable ways. I no longer live in fear, doubt, worry, and procrastination on what to do next in my personal or business life. I am the healthiest I've ever been both physically and emotionally. Coaching has taught me to overcome indecision in my life and be more productive. My new lifestyle changes have given me the confidence I was lacking and the belief that I can do anything I put my mind to. Being a part of this community of Champions has made a positive impact on my life and made me an example to my family and others. I believe that the impossible is possible for me. It pleases me to reflect on the barriers that I have overcome and the potential that lies ahead for me." "As a registered nurse, I achieved great accomplishments in my educational career in addition to obtaining several certifications and clinical and corporate employment opportunities. In 2004, I had the desire to go back to my roots in patient care and obtain my degree as a Doctor of Oriental Medicine. I had experienced Acupuncture and Oriental Medicine personally with amazing results and knew I wanted to master in it and share it with the world. Despite all of my educational endeavors and achievements when I opened my private practice in 2007, I was not experienced on how to build a business but instead chased after one shiny object after another and listened to advice of others who were not experts in building successful, prosperous businesses. By 2013 I was preparing to close my business that I loved feeling disappointed, lost, confused, frustrated, saddened, fearful of failing, anxious, and worried on what to do next. 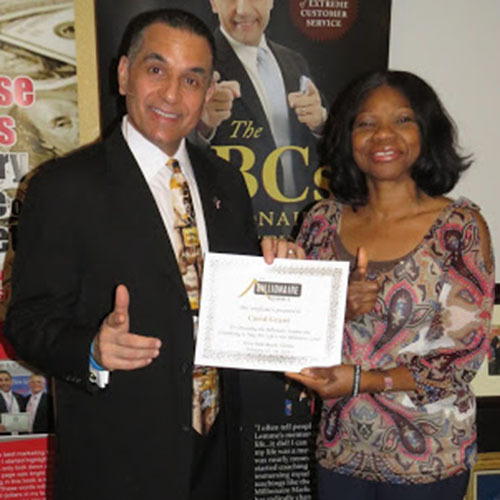 In the hopes of saving my business, turning it around, and continuing to serve my patients I joined John Di Lemme’s 17K Inner Circle Champion Mastermind Club in early 2013. Within five months, I began coaching with John, and the hope of saving my business had come to fruition. Coaching has assisted me with extracting what was already inside of me – confidence, belief, worthiness, self-esteem, self-value, and self-love . I was lost but found myself again. 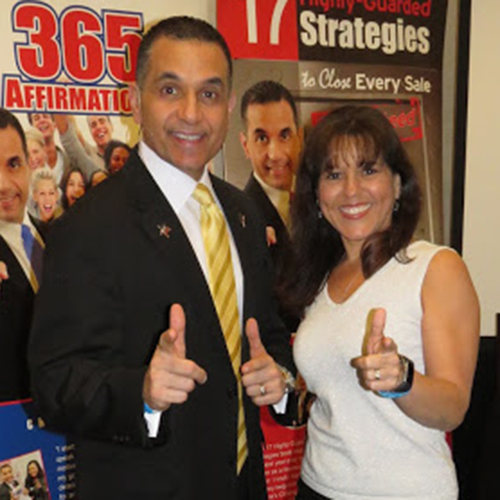 My business has transformed with the highest gross earnings ever to date by learning, listening and implementing motivational and marketing fundamental principles. Most importantly, my health has transformed, and I am the healthiest ever being an example to my family and patients. I have the passion of sharing both the benefits of Oriental Medicine and yoga with the world as coaching extracted out of me the creative concept of Acuyoga. I actually became yoga certified with John’s coaching. Mentorship tells you what you need to hear, and I needed to hear what I didn’t want to hear in order to grow out of my comfort zone and step into faith. IF you want to achieve greatness and live out your highest life potential, listen to what you need to hear by a coach who cares for you and your family and desires only the very best for you. This is what coaching with John Di Lemme has done for me!" "Having a coach that truly cares about me, has radically transformed my life. I went from having very low self-belief and absolutely no structure or focus, to realizing my unlimited potential. 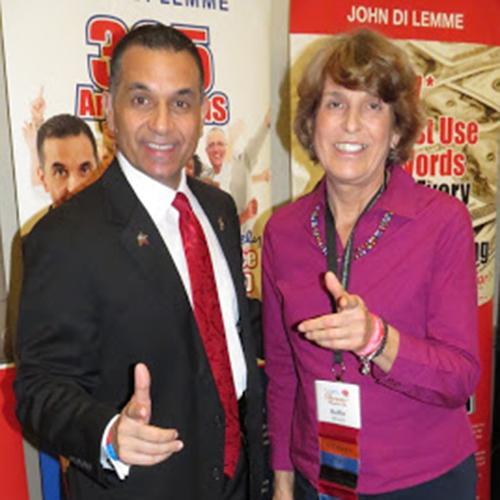 With John Di Lemme’s Coaching, I’ve been able to learn, focus, implement, and fine tune my personal health and business, which leads to record-breaking results financially and emotionally. The best part of coaching is that there is always a next level to achieve! This keeps the future wide open for improvement and the realization of my dreams and goals. Lifestyle freedom is the result of having a coach behind you that pushes you out of our comfort zone. " 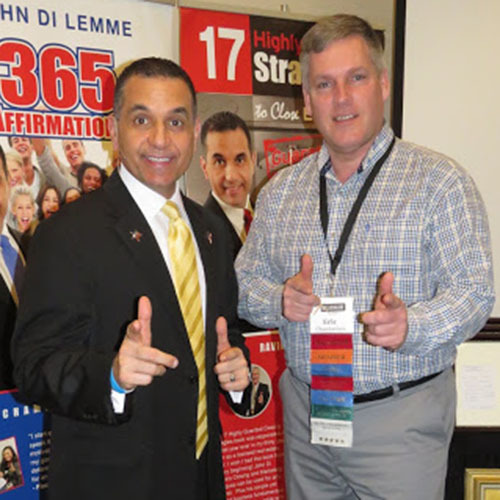 "With John Di Lemme's coaching and mentorship, I have created a powerful, emotional bond with my WHY (ultimate purpose) and have tremendous momentum. I have learned how to build long-term relationships with my clients and family. With John's guidance, my simple bookkeeping business has gone to the next level. Coaching has given me the confidence and strength to follow my heart and stay committed to my WHY long-term. Thank you Coach John for being my coach and mentor!" Coaching Propelled My Life and Business Forward! "Coaching has propelled my life and my business forward. John's professional direction gets you out of the ‘woulda shoulda coulda’ paralysis and not knowing what to do next. It's pretty simple…John's coaching of proven, special guidance for me and my business has launched me forward toward the achievement of my goals." Coaching Challenges Me and Brings Out the Best in Me! 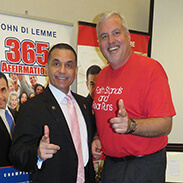 "John Di Lemme's coaching is one of a kind and absolutely phenomenal! It's bringing my life to a whole new level of greatness, making me realize my potential, and what I can do in the lives of the people I meet. As we continue to evolve in our business, my personal and professional life is getting better and always improving each day. I love learning! Coaching challenges me and brings out the best in me. It's a blessing to be mentored by John, and I'm always excited to get to my next level. Thank you John for staying true to your calling and for being the CRAZY coach that you are!" 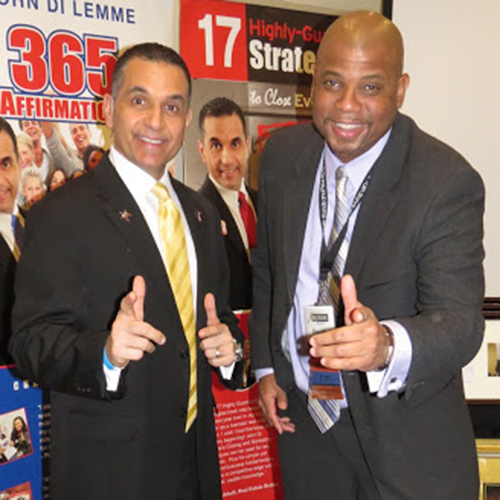 "With John Di Lemme’s, I have gained insight of what it takes to move forward with my dreams, life, and WHY! I'm learning to get laser-focused in every area of my life. I greatly appreciate the opportunity to belong to a forward moving community. Thank you again Coach John!" Coaching has Literally Saved Me! "Coaching has literally saved me from depression, anxiety, and stress that was controlling my life. Since retirement, I didn’t know where to turn to build my self-confidence and turn my life around financially and spiritually. I don't even want to think where I would have been without coaching! I now have a self confidence that I have never experienced! I have my own business that is amazingly successful. I am truly walking into miracles every day and amazing experiences just happen. The wisdom that John has bestowed upon me has made me the most successful personally, professionally, and spiritually. I am also the healthiest I have ever been! I cannot wait for my future! Thank you from the bottom of my heart & soul for changing my life." Coaching has Written a New Chapter in My Life! "From the second that I met John Di Lemme on October 30, 2011, I knew my life would never be the same! Coaching has written a whole new chapter in my life. John took me from rock bottom to breaking every record that I could set. I am the healthiest that I’ve ever been…drug free, drama free, and loving life! Plus I’m growing my business with the knowledge that my clients can trust me, and I'm committed to provide extreme customer service that will change their lives. John saved my life and showed me how to believe in myself again!"